Watch the above video, then if you have not, read my article on "Tactical de-escalation" and how it will get people killed. You might be wondering why that officer thought it was fine for a man who is clearly apprehensive and confrontational with him to have his hand on a pistol without pointing a his duty firearm at him. "Take your hand off your firearm!" If someone is putting or has put their hand on their firearm, that can be construed as intent, especially against a law enforcement officer. "I'm allowed to search you!" At what point does it seem pointless to keep talking? This video should serve as a clear and fundamental lesson to anyone who has second thoughts about use of force and "tactical de-escalation." The officer is very lucky that he is not dead and only took a round in the arm. From that distance speed is life and accuracy is negligible. The officer is also very lucky that he was able to down the man within the first few shots. Talking did not work, pleading did not work, action worked. The officer attempted to defuse the situation without violence when violence was required and he almost paid for it with his life. That is completely unacceptable and showed that the officer was not of the correct de-escalation mindset, already having killed him in his mind. Disregarding the fact that the officer allowed the man to have his door open and then to got the man out of the vehicle without backup on scene (both possible tactical errors), the officer stood face to face, high-noon old west face off style, with a man who had his hand on his firearm and did not draw his. What was the question on the officer's mind? "Would I be justified in using deadly force against this man?" The answer is yes. The officer took a step to his left and saw a pistol that he was gripping. 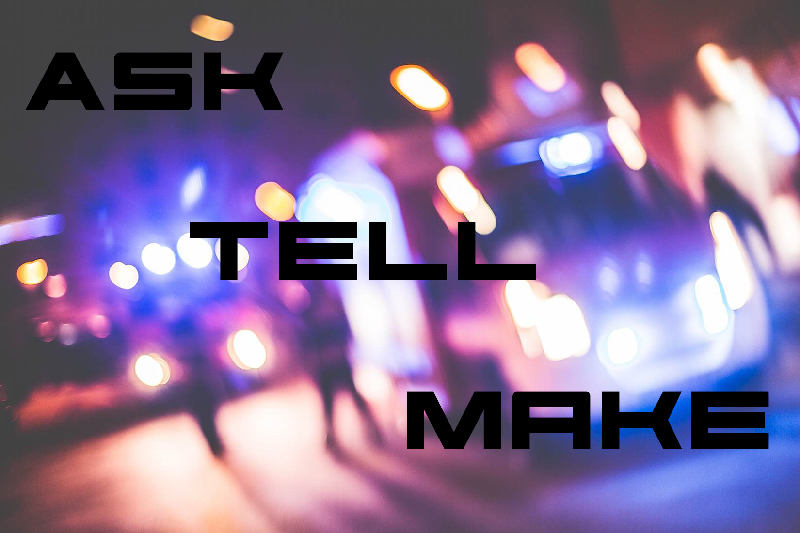 The officer knew that the man may not have a permit to carry, at that moment the only issue that presented itself was the officer's intent, he did not feed the situation to create the best possible resolution for himself. "Stop it with your hands..." Why does that need to be said? That is rhetorical, it does not, that was the officer's cognitive dissonance at work. Did he not see the intent in the man's willful disregard of his lawful commands to first keep his hand off his pistol, then after the officer explained Terry v. Ohio , surely the man would come to his senses, right? What ended up happening there? A near double-kill scenario. In my article linked above, I explained that the average human reaction would be .25 seconds and both from the draw would not be a situation anyone should ever want to be in. The officer's best hope for survival, as is anyone's best hope in this type of situation is to feed the situation with violent intent/violence of action. This is the best resolution for this type of situation, the moment the man disregarded the officer's commands the officer should have drawn his pistol. The moment the man put his hand on his pistol the officer should have drawn his duty firearm and discharged into the man while moving. The officer volunteered for a gunfight he almost lost, learn from this. 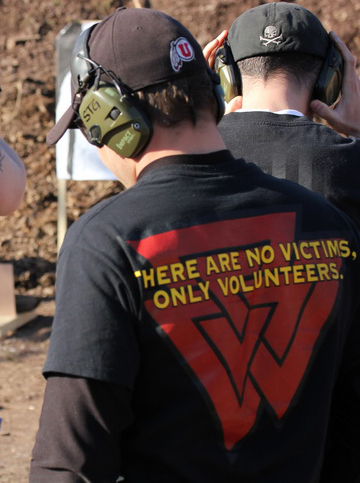 "There are no victims, only volunteers."